It's no secret that the cost of higher education has skyrocketed in recent years, and there seems to be no relief in sight for low and middle income families who want to provide their children with college educations. Nonetheless, a report recently published by Sallie Mae shows that as many as two-thirds of low-income families do not have college education funds in place for their children. Instead, many of them are counting on federal and state financial aid, scholarships, and student loans to pay for tuition, books, and living expenses when their children enter college. 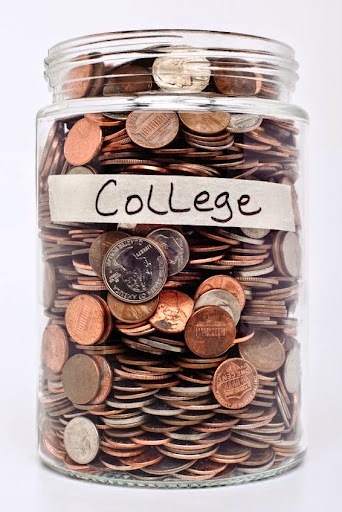 The study claims that only 34 percent of low-income families are not regularly putting aside money for college. In other economic groups, 51 percent of middle-income families have a designated college fund, and 73 percent of high-income families are saving for school. The main factor cited by low-income families for not saving for college is that they simply can't afford to save. Many of these families, however, spend more money on things such as landscaping and home improvement projects than they put away for college. On average, future college costs comprise about 10 percent of the total savings of low-income families, with roughly half of their savings being put into retirement funds. Several decades ago, it was possible to emerge from high school and go straight to work. Although college educations were definitely desirable, particularly for those who wanted to go into specialized occupations, they weren't essential to economic survival. Today's current employment situation, however, highly favors those with more than a college education, and predictions concerning the future job market indicated that this trend is here to stay. 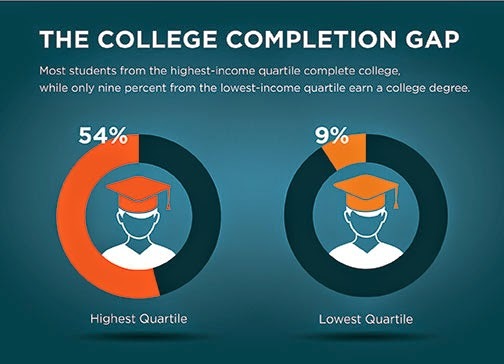 As a result, many current college students are low-income, first-generation students who probably wouldn't have gone to college in previous decades. An Education Trust study has found that many low-income students are basically priced out of higher education even when they receive financial aid. The study has found that low-income families still generally must pay around 72 percent of their income on college costs for one student after financial aid funds have been accounted for. Recent cuts in financial aid have added to the challenges that low-income students face in their pursuit of higher education. With the average student loan debt at $30,000 per person, it's entirely understandable that many young people have significant reservations about mortgaging their futures to such a large extent. The good news is that a substantial effort exists to make a college education more accessible to students from low-income backgrounds. In January of this year, President Obama met with 140 college presidents and educational organizations to brainstorm ways to bring higher education to the students who need it. 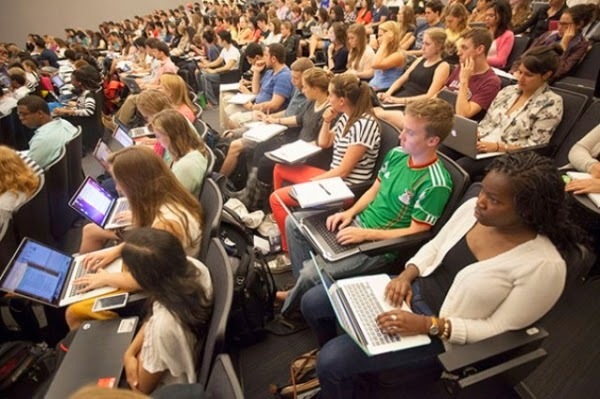 It was a requirement of attendance that the colleges and organizations arrive with a workable plan to increase college accessibility to needy students. The conference had positive results, and First Lady Michelle Obama is spearheading a large effort to encourage colleges and universities throughout the country to admit and graduate higher percentages of low-income students. CNBC News reports that many top U.S. colleges are making overtures to low-income students designed to help them achieve their educational goals. Substantial endowments are allowing some institutions to offer financial aid packages that significantly reduce the cost of education. The news channel also reports that parental contributions no longer constitute the leading source of funds for college tuition payment. For the first time, grants and scholarships are in the leading spot as far as paying college costs. Tuition costs have risen at four times the rate of overall inflation, causing both students and parents to make costs a strong factor in the college selection process. Another bright light for low-income students on the education front is Berea College in Kentucky, which offers all of its students free tuition, thanks to a large endowment. The college also provides abundant work-study options and assists with student budgeting strategies. All students work at least 10 hours per week at approved jobs both on campus and in the community. Although Berea College primarily draws students from the Appalachia region, students from all over the U.S. as well as from other countries are well-represented in its classrooms.